If you've got Vietnamese on the mind, a recent opening is need-to-know. Called Lua Viet Kitchen, the new arrival is located at 1540 W. Alabama St., Suite 300, in Montrose. 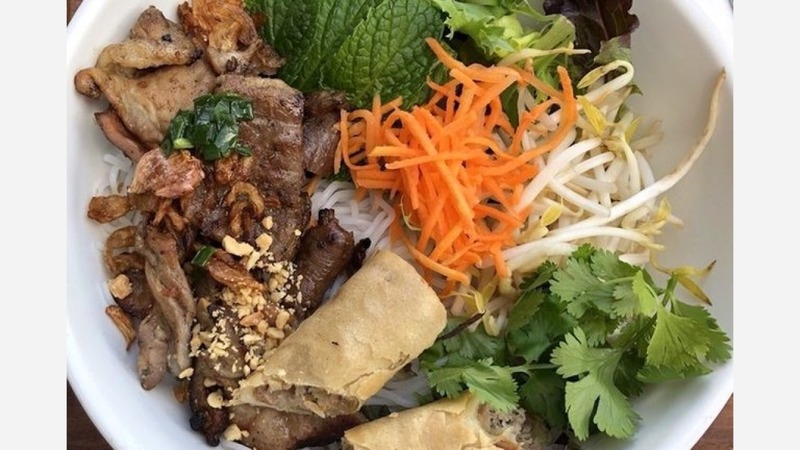 The new fast-casual Vietnamese spot features locally sourced ingredients like beef from Cameron's 44 Farms in its pho, spring rolls and salads, according to Eater. Look for the lotus shrimp salad and the seared beef soup with housemade meatballs and jalapenos. With a 4.5-star rating out of 20 reviews on Yelp so far, Lua Viet Kitchen has been warmly received by patrons. "We ordered lemongrass chicken, veggie garlic noodles and crispy veggie rolls," said Aimen M., who was among the first Yelpers to review the new spot on May 9. "Everything was perfect. So perfect that we ordered two rounds of the noodles. Everything is made fresh and is a healthier take on Vietnamese food." And Hannah B. wrote, "The portions here aren't huge, but I was satisfied without feeling too full. The prices are reasonable, but a little more expensive for the amount of food you get compared to some other Vietnamese places. Overall, I highly recommend checking this place out." Swing on by to take a peek for yourself: Lua Viet Kitchen is open from 11 a.m.-10 p.m. Monday-Saturday and 11 a.m.-9 p.m. on Sunday.